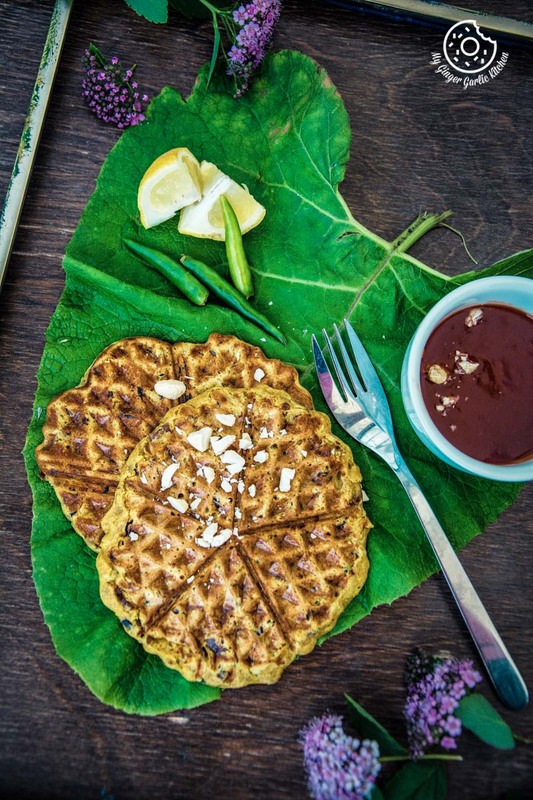 These Spicy Zucchini Waffles | Besan Chilla Waffles are a waffle-tastic makeover to Indian besan chilla. 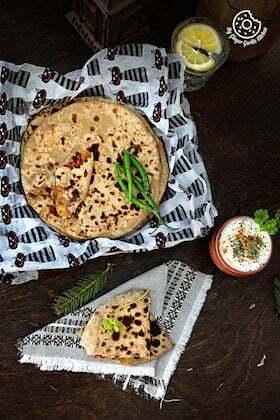 Making them is super simple and they are so full of flavors with perfectly crisp outer layer and tender inner texture. Happiest Friday guys! How’s the life in your part of the world? Here, it’s getting colder and it’s really dark since morning. Even though it was cloudy today, I was up early and I must say it was a pretty productive morning for a Friday. The getting cooler weather has me craving for something spicy and filler. Have you ever faced a situation when you want something heavy yet healthy for breakfast meal but in the morning you don’t really have much time to cook? If yes, then these waffles are the excellent solution for you. You need only a mixing bowl, a whisk and a ladle. And you are good to go. They are super quick and fuss free. But Spicy Waffles for breakfast? Sounds something different? I know what you must be thinking. 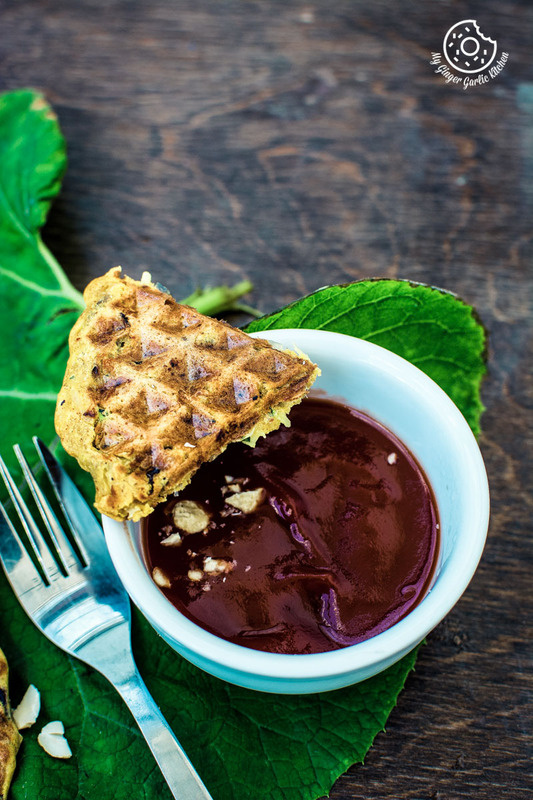 But this is one of the most exotic and tasty savory waffles I have ever made. 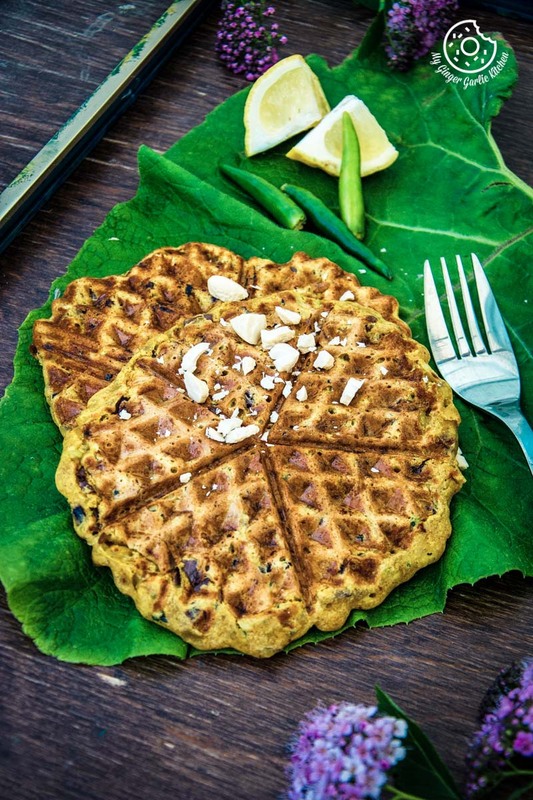 These spicy zucchini waffles are a waffle-tastic makeover to Indian besan chilla. They are full of zucchini and onions. We all know that zucchinis and onions go so well together, but pairing them with chickpea flour was the greatest idea. Believe it or not — they have become one of my favorites for breakfast. My spice loving genes just thank me for these treats. And why not? 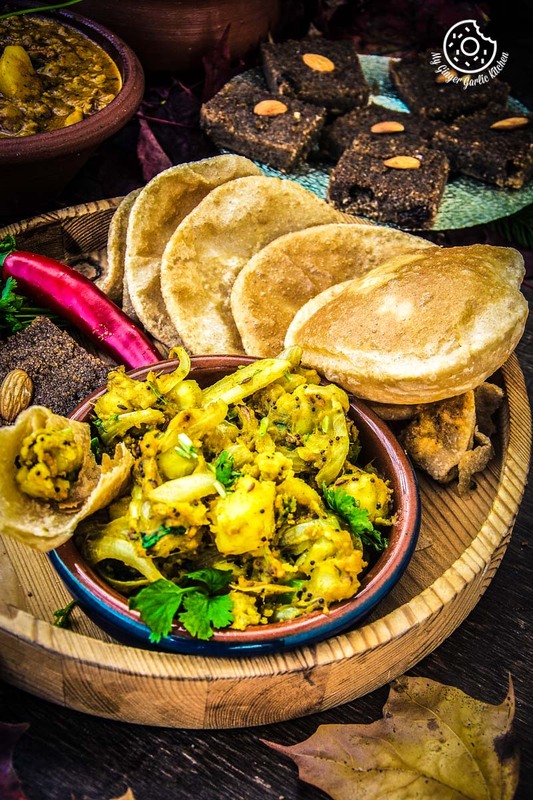 These treats are filler, they are healthy, they are fresh, they are spicy, they are gluten-free, and they are vegan. Furthermore, making them is 15 mins job max. 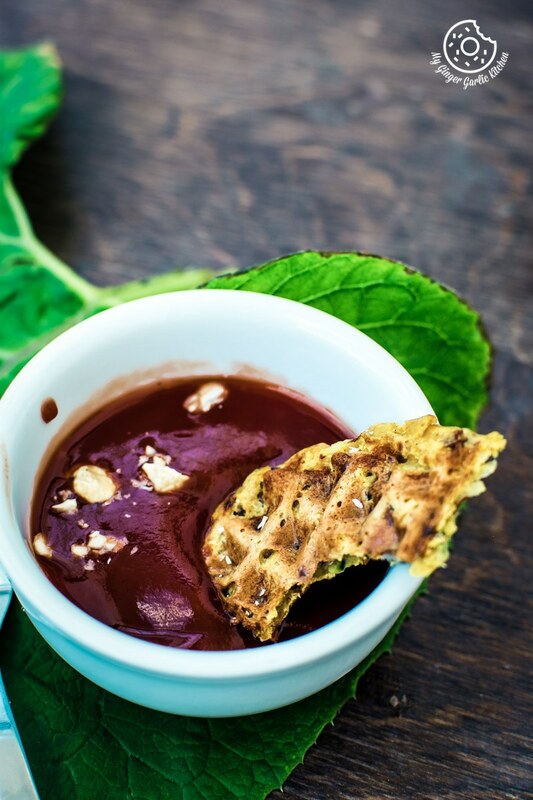 Serve them with some chutney, salad, and your favorite beverage. I personally love them with some hot coffee. I believe having a good tasty and delicious breakfast is a pure bliss for anyone. Because when you are happy with your breakfast then you are the happy the whole day. Isn’t it? For me, empty or unsatisfied stomach makes much more noise and fuss. 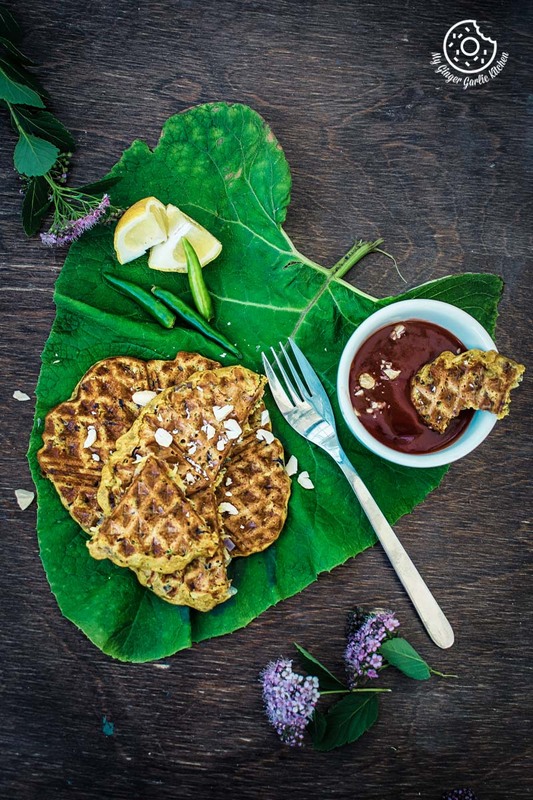 Well, the great news is that these low-carb waffles can also make a great lunch, dinner, or snack. They allow you to satisfy those spicy food cravings of yours. I am so much in love with waffles in general. However, I don’t eat sweet waffles much, but savory ones are always welcome. If you are like me who loves savory/spicy waffles then I guarantee, you are gonna absolutely love these. There are not so many ingredients involved in these zucchini waffles. 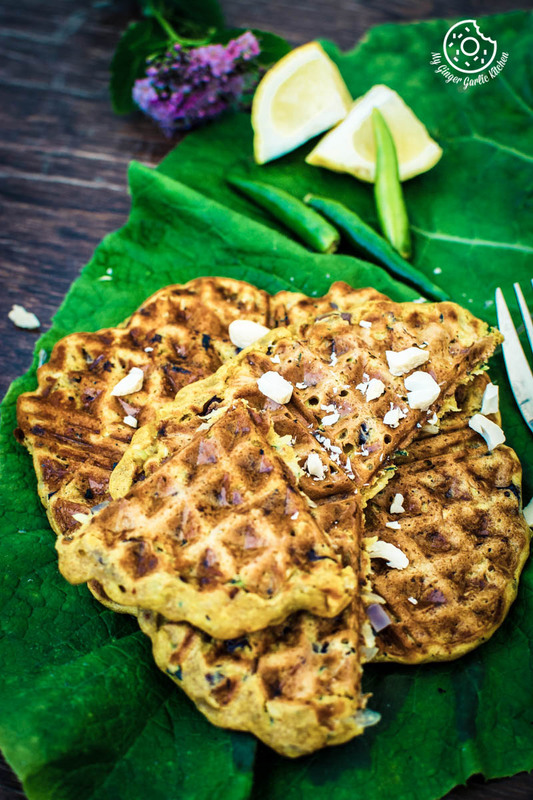 Why I am saying they are the best savoury waffles? There is no white flour, so it’s gluten free and only takes minutes to make. They do not contain any eggs. To make things even faster you can grate zucchinis and onions in a food processor with the grating blade in it. I chopped onions because I wanted to eat those chunks, but if you like you can also grate onions. There is no need to squeeze out zucchini water, so no loss of nutrients. 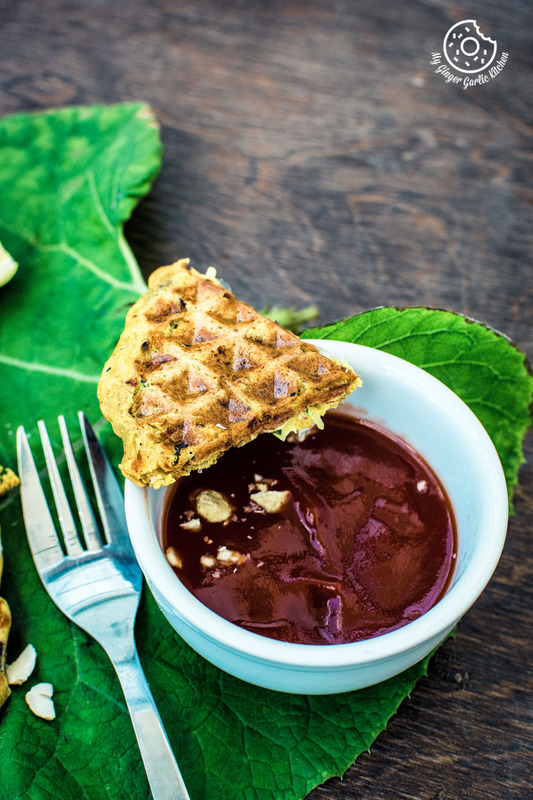 If you have kids who don’t eat zucchini as such, then these waffles are a fun way to get your kids to eat zucchini. Making them is super simple and they are so full of flavors and perfectly tender textured. 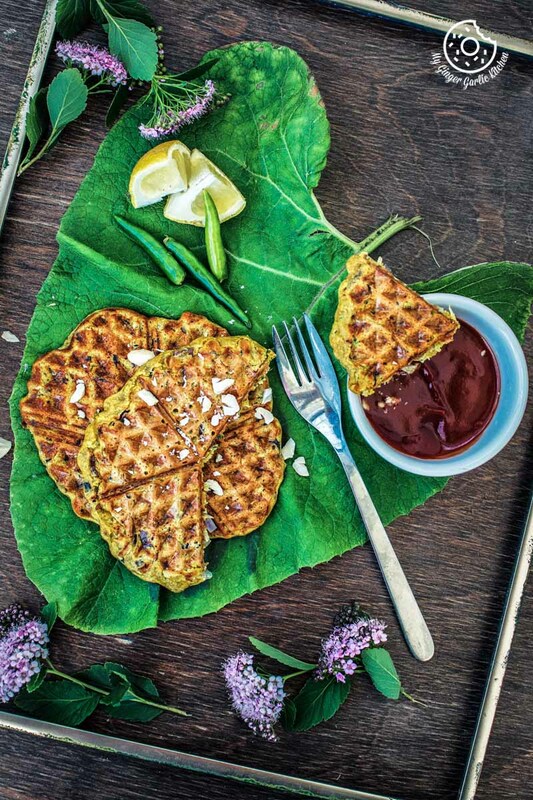 So let’s make this Spicy Zucchini Waffles without wasting any time. 1. Heat waffle iron to medium-high. 2. While waffle iron is heating, make the batter. 3. 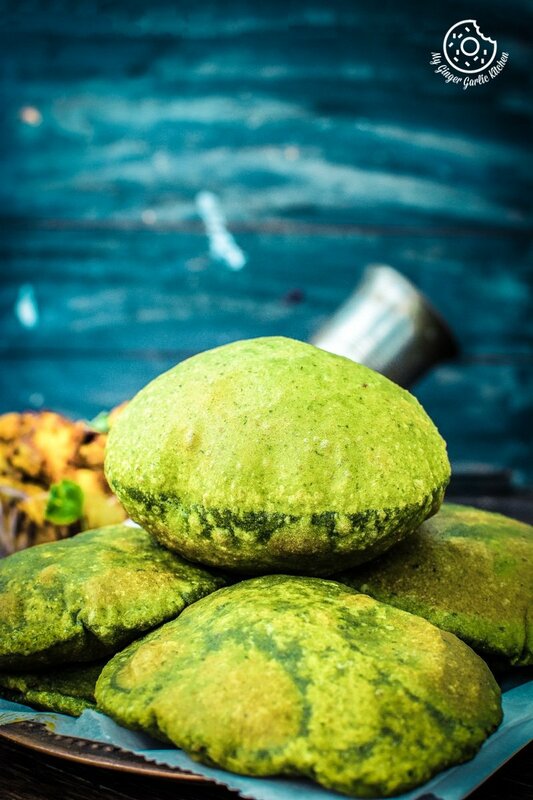 Place zucchini, onions, gram flour, ginger, garlic, salt, turmeric powder, red chili powder, cumin seeds, and lemon juice, 1/2 cup water in a large mixing bowl. 4. Whisk until all ingredients are incorporated. 5. Add garam masala over the top of the mixture and stir well. Add more water if needed. 6. Lightly brush waffle iron with oil and pour 4-5 tbsp of a batter to the center of your waffle iron, depending on how large you want your waffles. 7. Close the lid and cook according to your manufacturer’s instructions, or until deep brown and crisp. 8. Remove and repeat with remaining batter. 9. 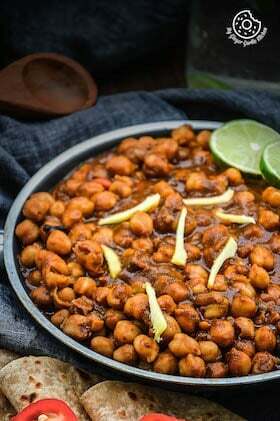 Serve with some chutney, and salad, as desired. You can also cook these as pancakes.